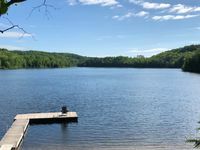 Property 5: The Captain's Quarters "Stay Local, Play Local"
Property 8: Enjoy a Romantic Couple's Muskoka Getaway on 11 acres of Private Waterfront! SO CLOSE TO THE FALLS, YOU CAN FEEL THE MIST!!! Property 9: SO CLOSE TO THE FALLS, YOU CAN FEEL THE MIST!!! Property 21: FAMILY, MATURE ADULTS AND PET FRIENDLY.FUN FOR ALL! Property 26: Looking for peace and quiet? This is the right place for you to unwind. Beautiful cottage minutes to Meaford, Thornbury and Blue Mountains ! Property 29: Beautiful cottage minutes to Meaford, Thornbury and Blue Mountains ! Lazy Dayz Vacation Rental only 2 minutes from Picton Main Street! Property 31: Lazy Dayz Vacation Rental only 2 minutes from Picton Main Street! Rustic charm on the water with everything you need! Property 40: Rustic charm on the water with everything you need! Property 42: Great Location! Great One Of A Kind Property! 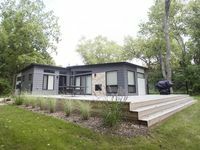 Chic Chalet within Walking Distance to Hidden Valley Ski Hill & Peninsula Lake! Property 44: Chic Chalet within Walking Distance to Hidden Valley Ski Hill & Peninsula Lake! Beautiful Family-Size Home w/ Large Bright Rooms. Property 48: Beautiful Family-Size Home w/ Large Bright Rooms. Property 50: Family Friendly Cottage on a Small Quiet Lake Minutes From Huntsville. Such a relaxing setting that we couldn't imagine anyone not enjoying the tranquility this cottage offers. The worst part was leaving. We had a great weekend, lots of room for 6 adults. Cottage was modern comfortable and very clean. The view from was beautiful, we sat by the fire and watch the snow fall over the lake. Definately a great place to go to relax and leave the city behind.